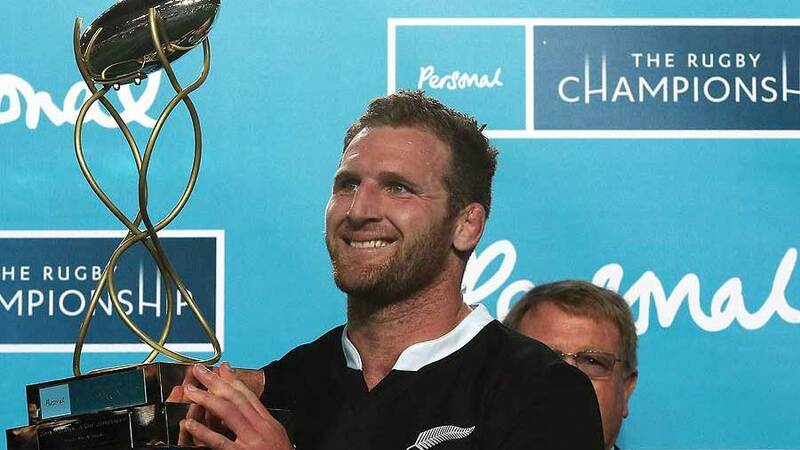 New Zealand produced a strong and much improved performance in the second half to beat Argentina in La Plata, but the All Blacks claimed their four-try bonus point only with the last play of the game to stand in pole position to take out The Rugby Championship title for the second successive season. The Pumas served up a strong challenge to New Zealand for the opening 50 minutes, but the All Blacks then scored two tries in five minutes, through Sam Cane and Ben Smith, to blow the game apart. They were set to claim the bonus point that would put them five points ahead of South Africa with just the title decider to play at Ellis Park in Johannesburg when Julian Savea chased a kick from Conrad Smith in a one-man race for the ball, but the chance went begging when the big winger spilled the pill as he bent over to collect it with the tryline in sight. Man of the Match: Sam Cane produced a wonderful performance, strong in close and at the breakdown before showing how much he has improved his game when roaming wide as the fixture opened up. New Zealand need not fear the future without Richie McCaw even though the All Blacks legend seems set to reclaim the No.7 jumper against South Africa. Cane's try in La Plata was just reward for his efforts. Key Moment: Nicolas Sanchez shaped to take what seemed to be an adventurous drop goal when Kieran Read closed down the option and forced a hurried midfield bomb. The ball ended up in Julian Savea's mitts and the big winger cleared out for a try very much against the run of play and territory. 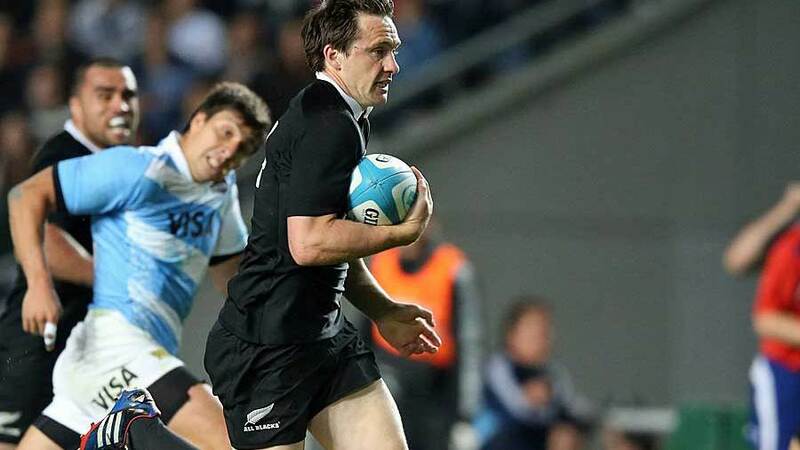 More importantly, the moment showed the key difference between the teams: the All Blacks look to score tries, and can and do score tries, while the Pumas look to kick goals. For all the talk of an improved Argentina team, these Pumas are a level or three behind the Rugby World Cup 2007 vintage and they will not represent more than nuisance value at this level until they develop creativity and subtlety behind their powerful pack. Hero of the Game: Ben Smith scored two tries including the effort that secured the All Blacks the bonus point that saw them all but assured of claiming The Rugby Championship title. He had plenty of work to do when he received the ball in the 80th minute, but showed the assurance to step and power to run through the defence of Felipe Contemponi and Nicolas Sanchez. He's a keeper as a finisher. Villain of the Game: The spectator(s) who targeted a laser at the ball as Aaron Cruden prepared to take the conversion after Julian Savea's try in the first half. This was the second time in as many All Blacks Tests in La Plata that Cruden has been so targeted, and perhaps Argentina's officials need to reconsider the city as a Test venue to enforce the message that such actions are unacceptable. We'd hate to see someone blinded before officials are seen to act against such senseless stupidity. Talking Point: The scrum. Again. We seem to have as many free-kicks and penalties as ever before, and the new laws seem as much to blame as the players' adjustment to them. The Pumas' set-piece was dominant, and is perhaps the best in the world, but even Argentina at times struggled to win the ball on their own feed. Play of the Game: The All Blacks' third try was sublime. They worked beautifully a set move from a short lineout, and Ma'a Nonu showed wonderful dexterity to produce a short pop pass after a double pump to put Ben Smith into space. 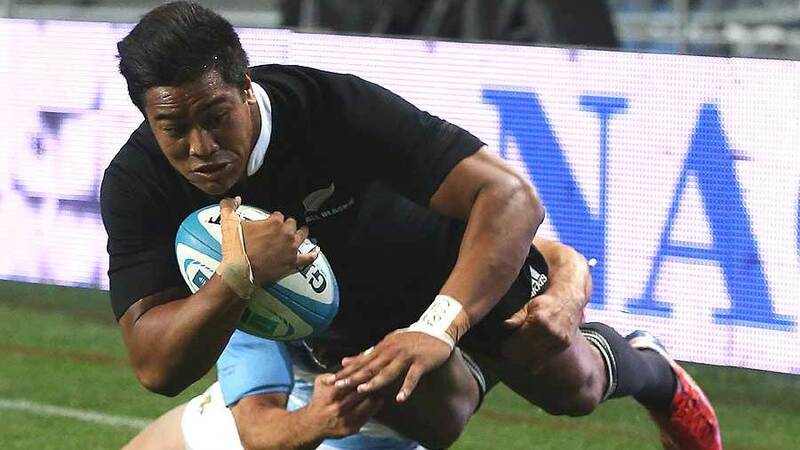 The winger then showed gas to burn past Juan Martin Hernandez and race clear for a converted try that put New Zealand out to a game-clinching 26-12 lead. New Zealand continued to press for the bonus point, going for touch and attacking lineouts rather than taking shots of goal, but they gained their reward only with the last play of the game, when the forwards secured a set-piece to feed the backline and Ben Smith stepped and powered through the defence to touch down under the goal posts. Argentina dominated possession and territory in the first half, with a much improved lineout from that seen in previous match and a scrum that was as powerful as ever, but they failed to threaten the New Zealand tryline and they paid for their failure to control a midfield bomb after Kieran Read had defused a drop goal attempt; Savea picked up the ball, beat an attempted tackle from Juan Cabello and ran 60 metres to touch down in the left corner. The television match official ruled on two points - whether Israel Dagg had knocked the bomb forward and whether Read had been offside - before the try was awarded, and Aaron Cruden was given a second attempt after an early charge by Argentina. Spectators in the crowd also interfered with play by targeting a laser at the ball as Cruden prepared for the kick. Nicolas Sanchez faced no such problems kicking for goal in the first half, and he was successful with three penalty goals, including two to put the Pumas ahead on the scoreboard. The Pumas regained the lead almost immediately from the restart for the second half, when Marcello Bosch kicked a goal from 51 metres after the pack had won a penalty from a scrum awarded on halfway when the kick-off went too long. The Pumas led but for minutes before Cruden landed a penalty, and the All Blacks then blew the game apart as they took control of territory and possession. to lift the pace of the game. The All Blacks broke through after a sustained period of continuity in the Pumas 22, moving the ball across field and back with powerful driving before Dagg, Cruden and Ma'a Nonu combined to put Sam Cane over wide out on the left. Five minutes later, New Zealand produced a superb play from a short lineout in which Nonu did a subtle double pump with the ball to put Ben Smith into space with a short pass; the winger stepped past Juan Martin Hernandez and raced clear for a converted try that put New Zealand out to a 26-12 lead. New Zealand went looking for the bonus point try but they met stern resistance from the home side, who also landed their fifth penalty goal, the fourth of the game from Sanchez. They would not be denied, however. Awarded a penalty on the Argentine 22, New Zealand kicked for the corner, controlled the len ineout and replacement scrum-half Tawera Kerr-Barlow thdelayed a pass momentarily for Smith to charge into the line and beat the tackles of Felipe Contemponi and Sanchez to score under the posts.